You are here: Home » Do gluten digestive enzymes really work? Do gluten digestive enzymes really work? If you’re on a gluten-free diet, either because you have celiac disease or non-celiac gluten sensitivity, being able to once again eat gluten with no side effects is probably a dream to you. Can you imagine being able to simply pop a pill to break down the gluten in food? Some supplement makers would have you believe that you can now do that – have your gluten-laden cake and eat it too. Glutagest and Gluten Cutter are just a few of the so-called gluten digestive enzymes on the market claiming to break down the gluten in food so that those who are intolerant can once again indulge. But forget about it – at least for now. The science is just not there yet – in spite of what those supplement makers would have you believe. I researched these products for an article I wrote for Allergic Living called “A Gluten-Free Reality Check” and not only was I astounded by the various claims but I was also shocked at the regulations or should I say complete lack of regulation that allows these products to mislead the public. More on the regulations later. While given approval by Health Canada only as a probiotic supplement, their marketing says something else entirely. The cards accompanying samples sent to me as a dietitian to distribute claim Glutagest “breaks down the gluten in food by actively splitting gluten into smaller good proteins that are easily absorbed by the body”. It suggests taking one to two tablets prior to and following gluten-containing meals or four in total at a meal. To find out if it was possible this product might actually break down gluten, I contacted world-renowned celiac disease expert, Alessio Fasano, M.D., a gastroenterologist and director at the Center for Celiac Research at Mass General Hospital for Children in Boston. He described recent research where enzymes from specific bacteria had been identified and purified, and when combined with gluten in test tubes, the enzymes did, in fact, break down the gluten. But when the enzymes were actually given to study subjects, they were ineffective. Dr. Fasano theorizes this is due to a longer time required from ingesting the enzymes to the breaking down of gluten in the digestive tract. Since Glutagest was approved by Health Canada as a probiotic supplement, not as an aid to digest gluten, I filed a complaint about the product. “Health Canada has opened a case for the complaint you submitted on November 11, 2016 regarding the product Glutagest. All complaints regarding health products are assessed and prioritized by Health Canada to determine whether non-compliance has occurred and the appropriate compliance and enforcement action to be taken, proportional to the risk posed to the public. Currently, compliance verification for this case is ongoing. “ said Maryse Durette, Senior Media Relations Advisor at Health Canada. So how’s the compliance going? This screen grab I just took of the Facebook page which states Glutagest breaks down gluten tells me that not much was done to achieve compliance. As I stated in Allergic Living, after I asked Health Canada to look into the product’s claim to break down gluten on the actual package, Maryse Durette, stated: Although gluten is a protein, this extension to ‘breaking down gluten’ exceeds the approved claim.” She said the regulatory agency would contact the manufacturer “to ensure its marketing is in line with Health Canada’s marketing authorization.” In other words, they will need to cease making the gluten claim in Canada. Check out the current packaging and directions for use. Do you think they’ve ceased making claims about gluten? As a dietitian, I too thought the approval process included providing evidence to the appropriate regulatory bodies for supplements in the U.S and Canada. But I was wrong – very wrong. Here’s the shocker about the regulations dealing with these products. When I reached out to the FDA to inquire about the evidence used to obtain marketing approval, press officer Lyndsay Meyer said the FDA does not require any scientific evidence to be submitted. In other words, you can put a supplement on the market, and make any claim you want as long as it does not treat any condition. Meantime in Canada, the Health Canada agency is in the process of updating regulations that may help to halt the marketing of dubious products. But currently, as in the United States, companies do not need to disclose scientific evidence. The bottom line? 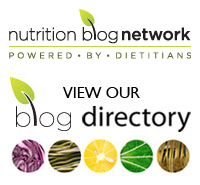 “It is important to note that commercial enzyme and probiotic supplements, promoted to ‘digest’ gluten, have not been proven clinically to treat celiac disease” says dietitian Shelley Case, author of Gluten Free: The Definitive Resource Guide. “They should not be used by those with celiac disease as a replacement for the gluten-free diet or to treat inadvertent gluten contamination.”, she stresses. My GP gave us glutagest samples. I was shocked. It also has a ton of extra garbage in it. It very much made me question her knowledge. But let’s face it here in Canada it’s also very very hard to get a celiac diagnosis. Most gp tell you to go Gf prior to sending you to a specialist. They also are hesitant to send you to a specialist to get a diagnosis. Plus if you don’t live in a large centre you must travel to see the specialist after sitting on the considerable wait list. So I am not all that surprised that these products are out there and being handed out. It is indeed a very unfortunate situation! You’re right about patients being told to go gluten-free while they wait for testing. There is a real education gap when it comes to physician knowledge about celiac disease testing and the problem is how to address it. The pharmaceutical companies that provide educational opportunities for all kinds of other medical issues have no incentive to provide any for celiac disease as there are no medications used in its treatment. Can I suggest that you print out both my post and my Allergic Living article and give it to your GP. Educating one physician at a time is a start!